A quick learning reference for Femap beginners. This version comes with b&w interior pages, which are “flatter” than the glossier color version pages. If you like to take notes in your books, this is the version for you. If you are a student, don’t forget to use the student discount. Your student status will be confirmed by email. For international orders of 2-5 books, please add the supplemental shipping cost item to your order as well. Publication Date: September 2014. Still applicable to v11.4? Absolutely! No substantial changes have been made to the Femap GUI since this book was published. 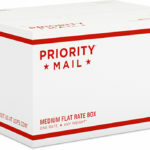 Shipping: See here for more information. Large Orders: Please use the contact form to request information on bulk orders (Qty>1). When I was first learning FEMAP, I used this book and it was an excellent tool. Typically when learning a new piece of software, I find myself google-ing a lot for examples and troubleshooting help, however with this tool, I rarely had to refer to anything else, saving me a TON of time. In addition, it also had some great insight into some of the subtleties involved with stress analysis, in particular with NASTRAN. One of the best things about the book though are the tutorials. The author is very careful with the pacing of these tutorials, starting off slowly for the first tutorials, and then taking the training wheels on in the later examples. I still find myself referring to it when I need to do a quick reference on the difference between different elements, or if I have forgotten how to implement a tool for cleaning up geometry. HIGHLY RECOMMENDED!! I have been teaching myself FEMAP for the past 5 years. If I had this book 5 years ago, I would be where I am now within a month!! 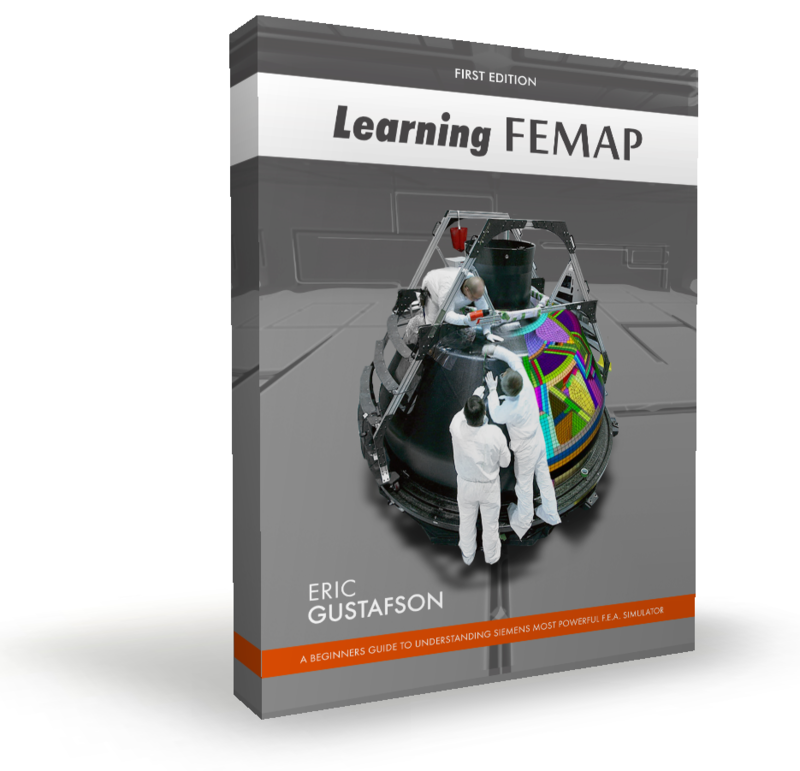 This is a GREAT book for the beginner and intermediate FEMAP user. It is SO MUCH easier and quicker than working through the FEMAP Help files or FEMAP User and Commands manual. I purchased this book for myself about a year ago, and I just purchased 11 more for the students in a composites FEA course that I just taught. The tutorials included in the book are a great learning tool The 3rd tutorial is on a composite wing, which went well with the course I was presenting. My course only covered Laminate Plate elements, and did not get into the 3D solid elements, but this “easy to read and understand” book will allow the students to easily pick up on other elements on their own. 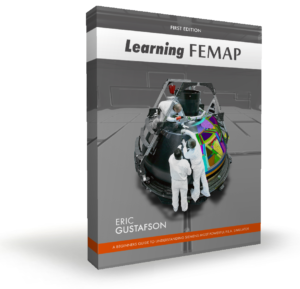 All 300 pages of the book could be easily read through in a week or two, and you will learn insights into using FEMAP that it would take a life time of trial & error or reading through the FEMAP Users Manual & Help files.